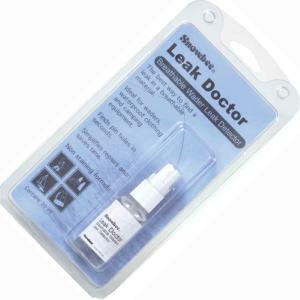 Leak Doctor - SLD - We’ve all had them, annoying little pin prick hole leaks in our delicate breathable waders, caused by thistles, brambles and gorse along the bank. Well ‘Leak Doctor’ will help find them. Simply pump spray the ‘Leak Doctor’ over the suspected area and any leaks will appear as small dark patches in no time, quickly repaired with Suncure or Wader Repair Glue.